“A fly on the wall view of our new library building emerging from the ground at Arbatu Ensesa School. It is constructed of using traditional methods which are cost-effective … and fascinating to watch! 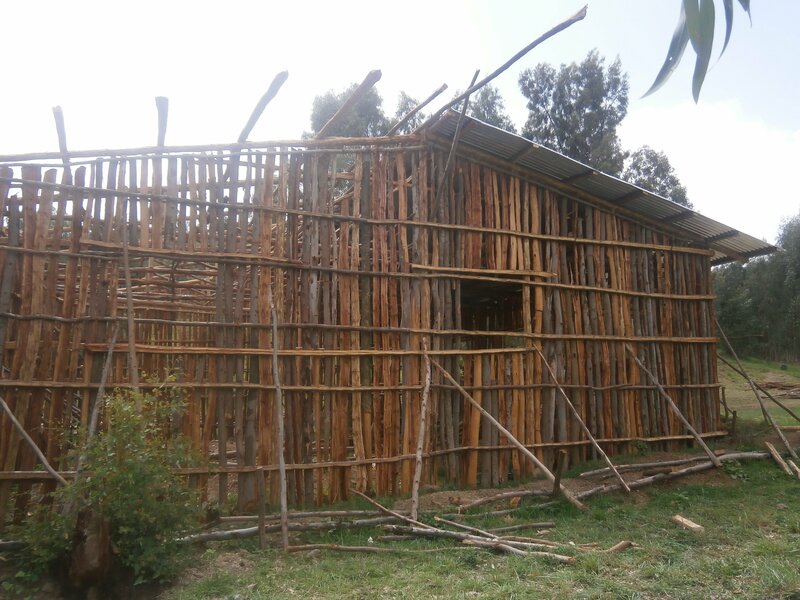 Arbatu Ensesa is an elementary school with over 700 students based in North Gondar. The students and teachers identified a new library room as a priority, so that they could have a space to read and study as well as access to new reference books. Because our sponsorship scheme contributes to benefit the whole community as well as the individual student, we were able to fund this project and share the benefits of sponsorship throughout the school. 18th June: The superstructure of the new building is speedily erected – a lattice work of wooden beams. The corrugated steel roof is next. 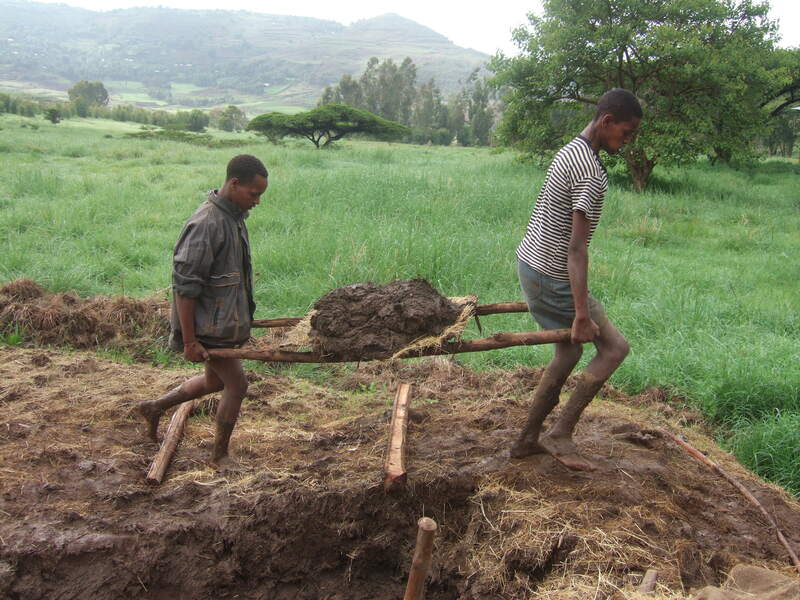 7th July: Mud mortar is used to strengthen the foundation and walls of the building. Luckily, it’s the rainy season so there is a lot of free mud! 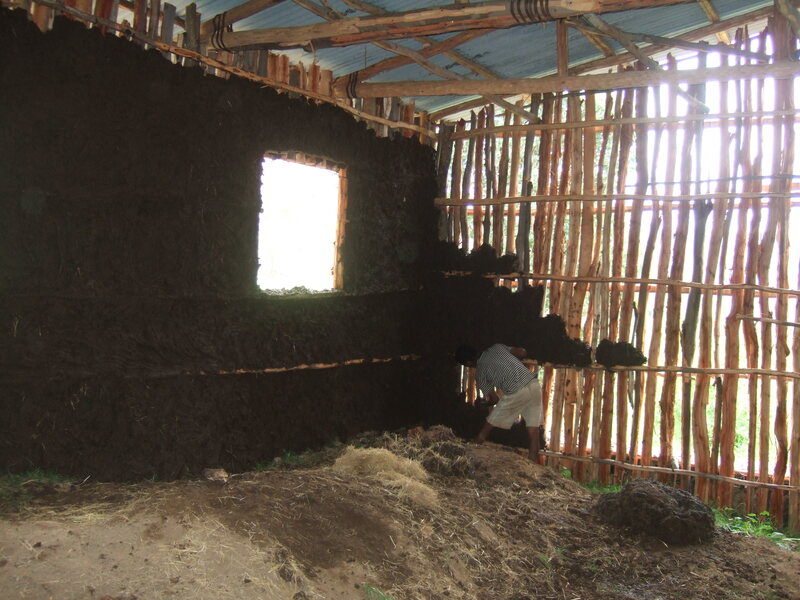 11th July: And we can see the progress so far in spreading the mortar – the hay and the mud mixture will form strong walls for our new library. That’s the story so far. We’ll share some pictures again when the library is finished. Previous PostThe Link Ethiopia Gondar Under-15s team win first match!